Easy to recognize for their bold spotted coats, this athletic breed is suitable for work both as a guide dog and a guard dog. 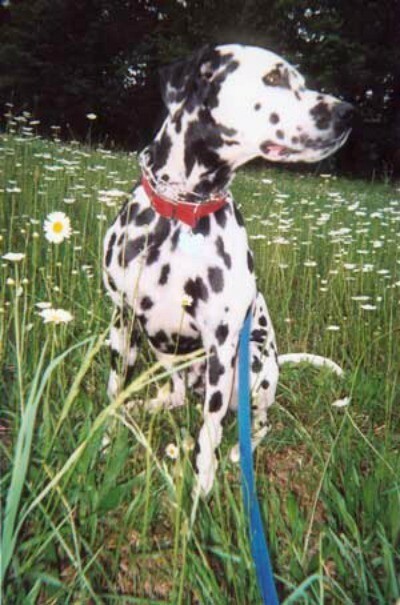 This guide contains dalmatian breed information and photos. Breed Description: Easy to recognize with their bold spotted coats, this is a muscular and athletic breed with a quiet, patience demeanor. The Dalmatian's courage and alertness makes it suitable for work both as a guide dog and a guard dog. Average Size: Male Dalmatians range from 20-24 inches and weight between 50 to 60 pounds. 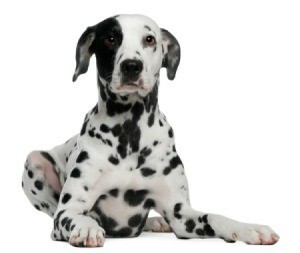 Color(s): White with either black or liver spots. 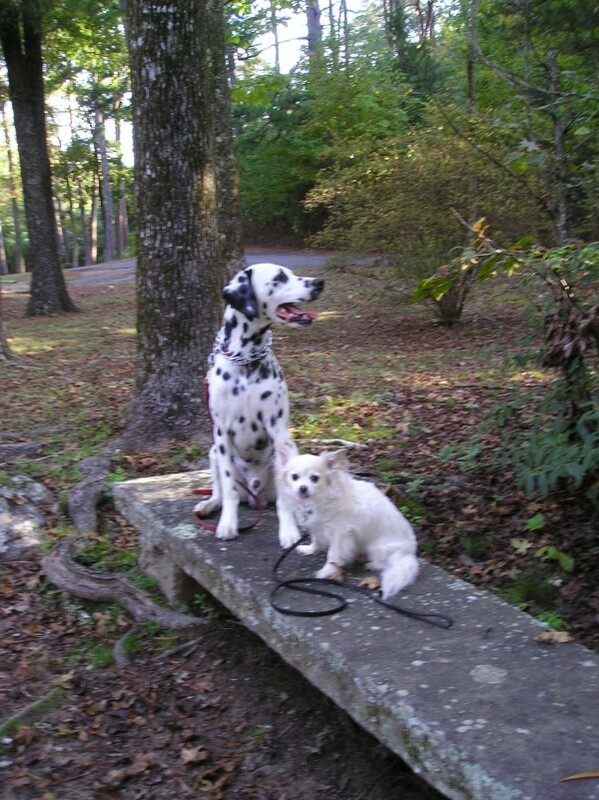 Coat Type: Dalmatians have a short, fine coat that is smooth, dense, and lustrous. Grooming: The Dalmatian's coat requires minimal care and needs brushing only once or twice per week. This breed requires standard care for eyes, ears, pads, and nails. Exercise Needs: Dalmatians are highly energetic and should have a fenced yard. They need substantial amounts of exercise to maintain their mental and physical health. This is a good breed for runners and joggers. Temperament: Dalmatians are sensitive and loyal and possess a great deal of gentleness and patience-traits that make them good guide dogs. They tend to bond very closely with their owner and enjoy the company of children. Early socialization and obedience training is recommended to prevent behavior problems and help dogs develop into well-adjusted individuals. They are naturally suspicious of strangers and make courageous guard dogs. Common Ailments: Susceptible to inheriting deafness, prone to urinary stones, and skin allergies. Life Expectancy: Averages 11-13 years. 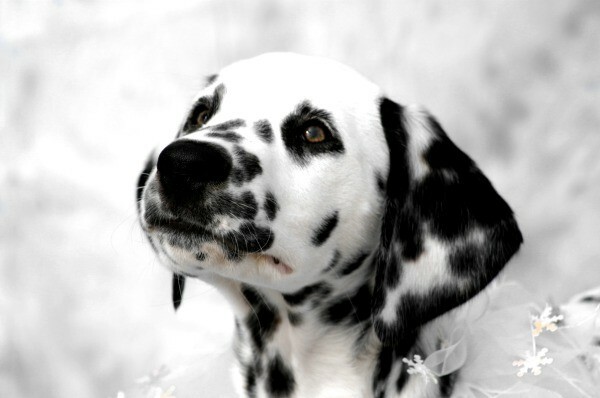 Trivia: Dalmatian puppies are born without spots. The breed is famous for being associated with fire houses and are often featured in older ads riding alongside firemen on the fire trucks. They were also featured in the 1959 Walk Disney film, "101 Dalmatians." 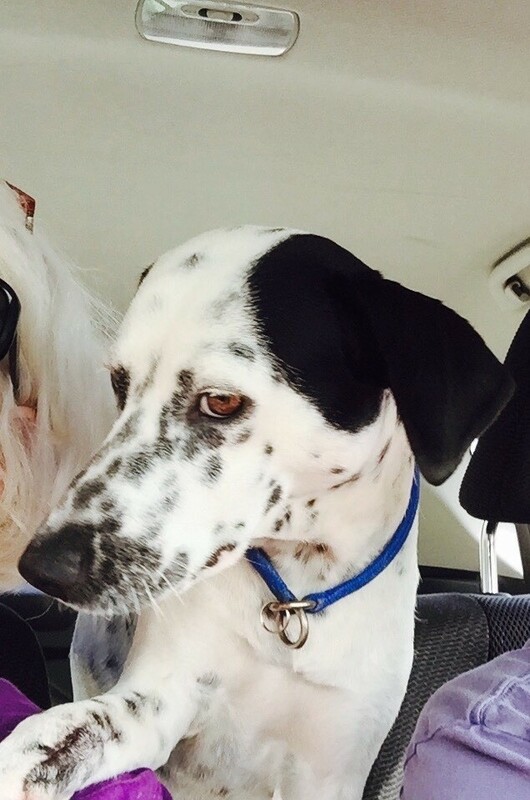 More Information: Dalmatian Club of America, Inc.
Raleigh is a 6 year old Dalmatian. I waited nine years before acquiring my best friend. I wanted to make sure I had the time to devote to him and was in the right place in my life. Since he's a high energy breed, I took up bicycling a year and a half before I got him (at the age of 50!). Raleigh runs alongside my bike when the weather is cool or cold. He has a high prey drive and lives for seeing/chasing squirrels. I never let him, unless I'm sure there are no other dogs or cats around, people that he might scare, or traffic. I make sure we're not close enough to the road that the squirrel might go across the street. Most importantly, I make sure the squirrel can make it up the tree before Raleigh gets there! He's absolutely my best friend! A real gentleman, I've never seen him lose his temper with people or other dogs, even when they really deserve it. He can tell a bad person from a good person better than any dog I've ever had, so I always watch his reaction to people. He will let the lawn man come into the backyard and mow with no problem, but he went after the electricity man who didn't bother to knock and tell us he was going into the backyard to mark the underground electricity path (which made me mad). He also tried to go through the screen door at two women who were trying to rip me off. Those are the only times I've ever seen him act that way, and it was nice to see that he can be protective when need be, since he's so laid back. This is Raleigh at four months. He is three and a half years old now. He is a Dalmatian. I bought him as an eight week old puppy from a very good kennel. I was supposed to show him, but he turned out shy. Raleigh runs alongside my recumbent bike. His record is 10 miles with booties. Although shy in public, he's a great watch dog. Our new addition Dalmatian Dottie. This is Dottie. She comes from a long line of champion Dalmatians. We don't plan to breed or show. We wanted a new member of our family. She's as sweet as she looks! Now just eight and a half weeks. She's keeping us busy and on our toes! What a joy she truly is to us! 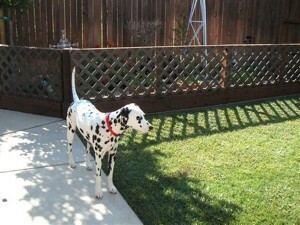 Dalmatian Dottie has grown into quite the beauty. We have fenced off our garden to give her more freedom in the yard. What a difference in behavior. I adopted her June 2015 from a Dalmatian rescue who rescued her off the streets of Tijuanna after she had been hit by a car and left to fend for herself.